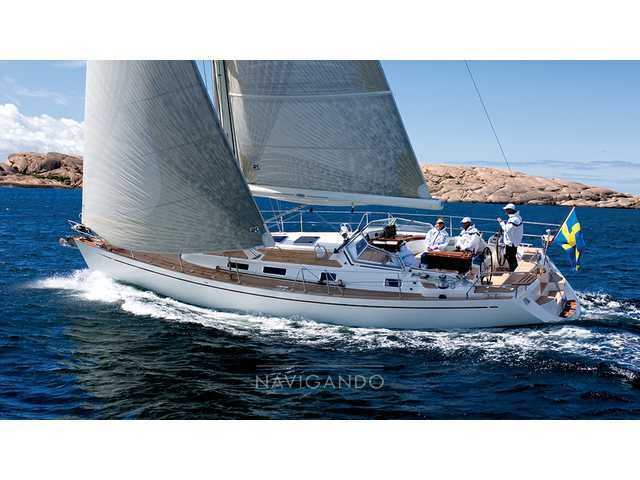 The Najad 440 Aft-cockpit is very attractive-looking yacht and is generally regarded as the most ' sporty '. Here the crew in addition to appreciating the aesthetic has a convenience and enjoyment at the helm of Wells ' Mediterranean style ' with the double wheelhouse. Very large about 2.70 m long cockpit provides plenty of room to maneuver on the winch vigorously without crossing or with other maneuvers. and similarly, with this great space, the cockpit is also a very cozy place also to entertain family and friends when you're at sea or when at anchor in a quiet Bay. Tutti i dati presenti nell'annuncio Najad 440 ac sono stati inseriti direttamente dal venditore Navigando S.r.l.